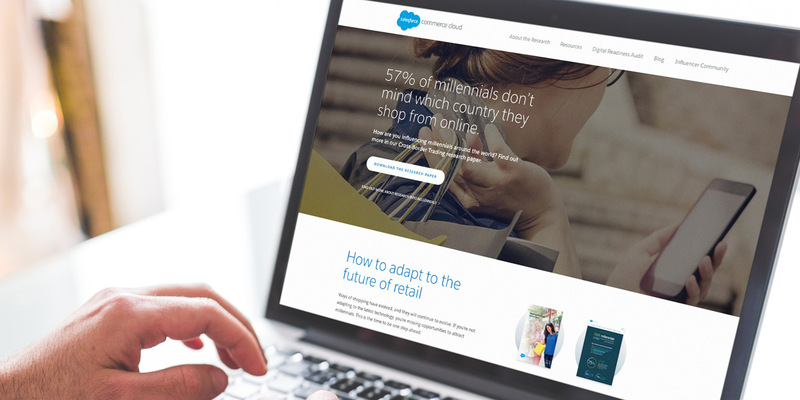 With online customer retail expectations evolving rapidly, Salesforce Commerce Cloud (formerly DemandWare) asked LEAP to help position them as industry leaders in the field of cloud-based retail solutions in order to engage senior decision-makers. This strategic and creative brief was to evolve over a two-year period and connect the motivation of today’s digitally savvy consumer, with the ability of the Demandware platform to unify online and physical sales touchpoints. We consulted with retailers and brand manufacturers and commissioned quantitative research to investigate the online shopping habits of over 7,000 millennials across Europe. This enabled us to develop the overarching concept of ‘Future Ready Retail’ and promote this research to leading industry decision-makers – putting the client at the heart of every conversation. To support the campaign, we developed white papers, insight events, personalised video brochures and targeted digital marketing – including display banners, research apps and infographics, to connect and engage with those businesses that will increasingly depend on innovative digital transactions. 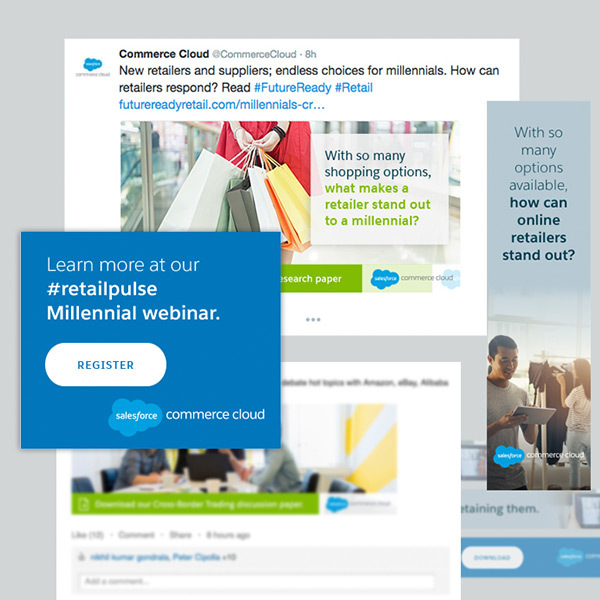 Our Future Ready microsite provided a hub for the best ideas generated and placed the most important and influential voices in the industry on Saleforce’s own stage. 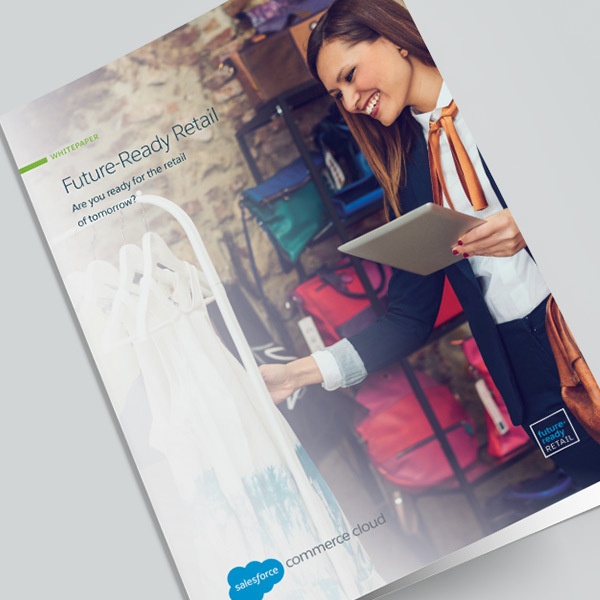 Our bespoke Digital Readiness Audit application allowed retailers to generate a unique report on digital sales future preparedness, benchmarked against the sector and containing expert and actionable advice for making strategic improvements. 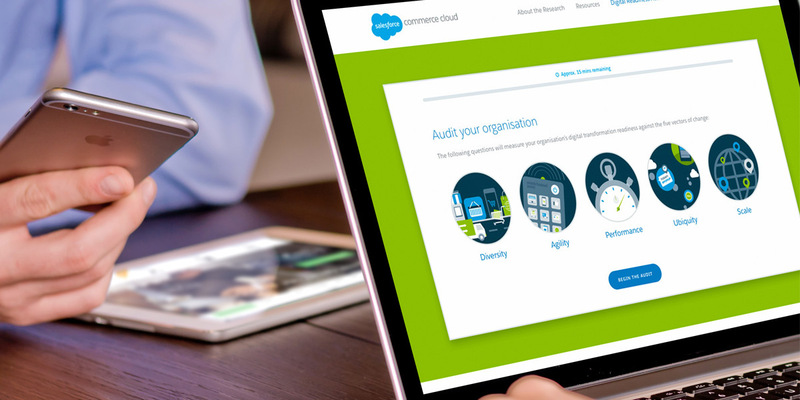 The campaign engaged many of EMEA´s biggest retail influencers, thus providing a wealth of qualified leads for Salesforce.